Do you need extra cash fast? Here at W.O.W. ReSellers we help you sell valuable items for top dollar! You can stay discrete while we sell your item. 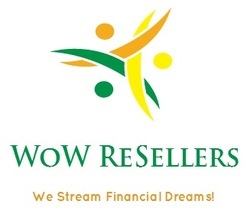 We are professionals Online Sales Brokers, licensed and insured! How we serve our clients? We can purchase your item directly or put it on consignment for 90 days. We buy and consign everything from books to boats! Want a free 7 day quote? Just submit a picture of your item below or text it to (678) 310-5131. Before any transaction you must show valid identification and sign an agreement stating that you are the legal property owner or agent for the item that you are selling. RARE CHINESE BOWL PURCHASED FOR $3 AT GARAGE SALE, SOLD FOR 2.2M! CHECK YOUR HOME FOR RARE TREASURES TODAY! Get Your FREE 7 Day Quote Here!